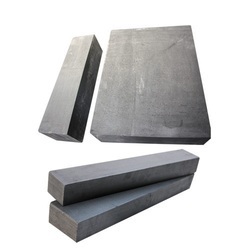 Rahul Graphites Limited offers Graphite Blocks that are widely used in the Tooling (EDM), Mould making (EDM), and General Manufacturing industries. Our blocks are used for different construction applications and these are available in various specifications and sizes to the clients. These blocks and brushes are fabricated from high-grade raw materials procured from the most trusted vendors in the market. Looking for Graphite Blocks ?